It’s not only wedding season, it’s also that time of year when grade school children take the Sacrament of First Communion. 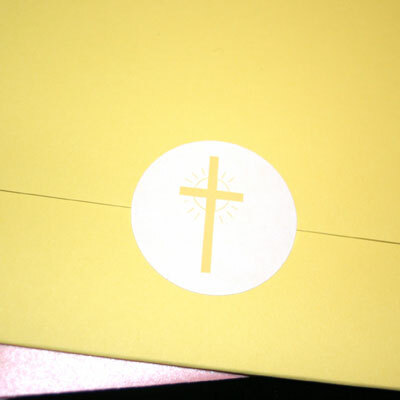 It is a significant event in the church, as well as for the children. 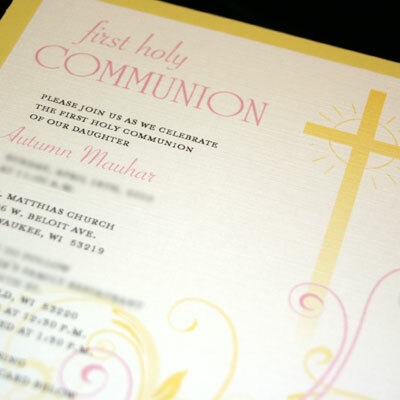 In light of this significant event, the Mauhar family came to BB10 Creative looking for some unique invitations for their daughter’s first communion. 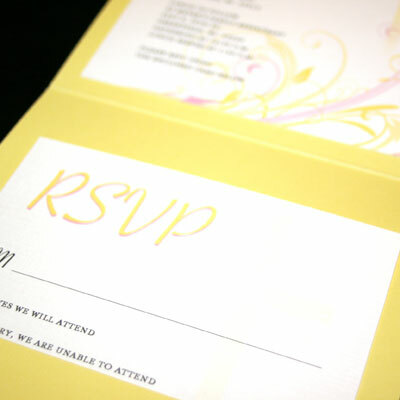 The resulting invitations are simple, yet elegant. 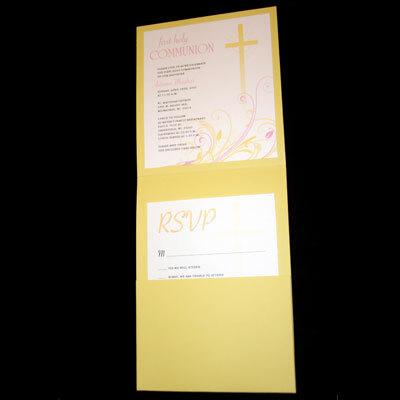 We used a yellow vertical pocket enclosure to house the invitation and RSVP card, both printed on a clean white linen cardstock. The external envelope used is a pale pink metallic, highlighting some of the pink used in the design. Overall, the design is meant to highlight the importance of this religious event while still appealing to the style of a second grade girl. Congratulations to Autumn! 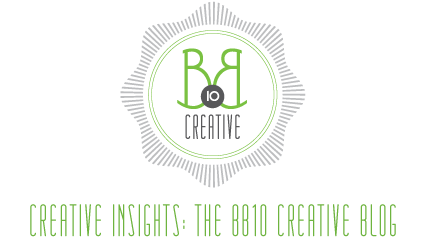 Don’t forget BB10 creative handles invitations for all types of social events. Check back for more work coming soon!